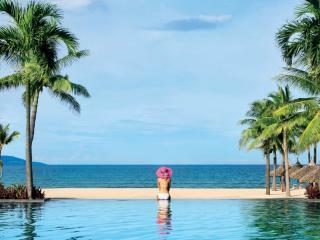 Angsana Lang Co. is a luxury 5 Star retreat and in an ideal location to discover the hidden gems of Central Vietnam. The natural beauty and heritage sites will have you out and about exploring. Visit Hue - the UNESCO World Heritage imperial capital, go further a field and experience the rural areas and the lush paddy fields, explore the historical ruins at My Son or the charming old town of Hoi An. With so many experiences available, Angsana Lang Co. is a fabulous destination to relax, unwind and enjoy a culture packed Vietnam getaway. Situated by the beach in Central Vietnam, Banyan Tree Lang Co is a 5 star luxury retreat offering a selection of opulently furnished pool villas. From Banyan Tree Lang Co, you can discover Central Vietnam's cultural hot spots - Hue, My Son and the quaint of town of Hoi An or choose to relax on the the private beach or indulge in a traditional spa treatment. 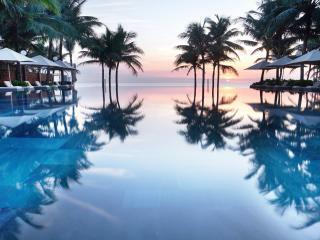 Banyan Tree Lang Co is magical Vietnam accommodation choice if you want to escape and unwind. Situated on the pristine sands of Non Nuoc Beach, Centara Sandy Beach Resort Danang features 4 star accommodation set on 42 acres of landscaped gardens. Surrounded by lush green mountains and a range of popular tourist attractions, the resort enjoys an outstanding range of onsite facilities and is close to the Marble Mountains, Hoi An Ancient Town, Chi Lang Stadium and Tra Que Vegetable Village. 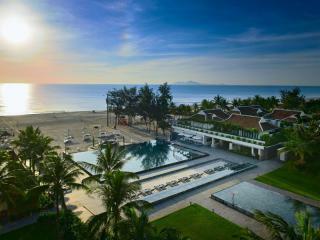 Situated on the shores of Danang Beach, Crowne Plaza Danang is the largest luxury resort on the beach and offers 4.5 star accommodation. Located between Hanoi and HCMC, the hotel connects to the largest entertainment centre in the region and boasts an excellent range of onsite facilities. Surrounded by 4 UNESCO Heritage sites, the hotel enjoys easy access to Hoi An Ancient Town, Hue, My Son holy land, Phong Nha-Ke Bang, So Tra Mountain, Non Nuoc Beach, Chi Lang Stadium and the Marble Mountains. Located on Da Nang Beach, Furama Resort Danang is surrounded by swaying coconut palms and offers 4 star accommodation that combines traditional Vietnamese style with French colonial influences. 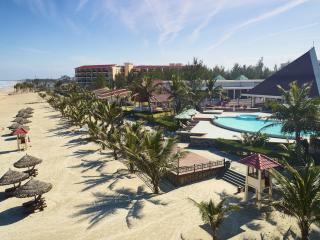 The closest resort to the city centre, Furama is surrounded by a number of popular tourist attractions and World Heritage sites including My Khe Beach, Son Tra Mountain, Hoi An's ancient town, the Citadel of Vietnam, Chi Lang Stadium, the Museum of Cham Sculpture and the spiritual centre of Champa Civilization. Boasting the ultimate resort and relaxation experience, conveniently located within the heart of Vietnam, Fusion Maia Resort offers luxurious 5 star accommodation just minutes of internationally renowned golf courses and surrounded by a number of World Heritage sites and attractions including the Marble Mountains, Son Tra Mountains and the Museum of Cham Sculpture. Boasting a unique 'breakfast anywhere anytime' concept and an indulgent day spa with all treatments included in your room rate, the hotel is a boutique oasis with direct beach access featuring villa accommodation with your own private pool. 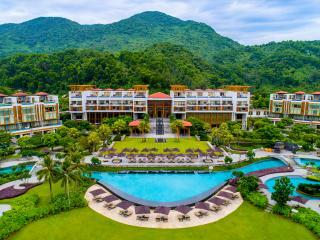 Surrounded by the natural beauty of My Khe Beach and Monkey Mountain on the Son Tra Peninsula InterContinental Danang Sun Peninsula Resort is the ideal destination to explore these best of Da Nang and its surrounds. 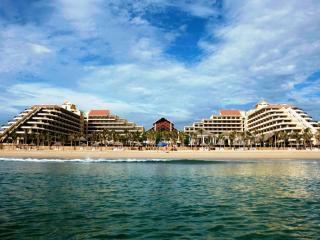 The resort boasts unparalleled ocean views and features modern facilities combined with colonial decor. 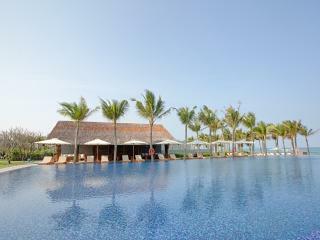 Naman Retreat is a peaceful getaway located between Danang and the UNESCO World Heritage site of Hoi An. Naman Retreat offers 5 star services and accommodation coupled with a beachfront location making Naman Retreat it a truly unforgettable destination for your Vietnam getaway. 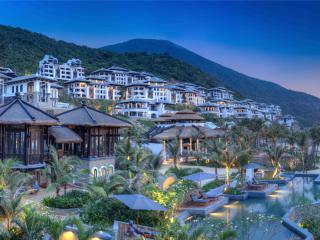 Offering 4.5 star accommodation on the shores of Bac My An Beach, Pullman Danang Beach Resort combines traditional Vietnamese hospitality with the high end atmosphere of a beachfront resort. Just minutes from three internationally designed golf courses, the hotel offers an excellent range of onsite facilities and enjoys easy access to popular attractions including Hoi An Ancient Town, Son Tra Mountain, My Khe Beach, Chi Lang Stadium and the Museum of Cham Sculpture. 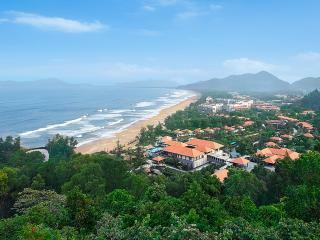 Renowned for its luxury accommodation, these hotels and resorts are just minutes from popular sightseeing and attractions on Vietnam's eastern coastline.